Priyanka Chopra took to Instagram and shared a few pictures from the ceremony, congratulating her brother Siddharth and his fiance Ishita Kumar. 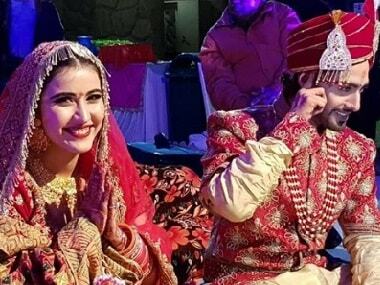 Sheena Bajaj and Rohit Purohit married in accordance with Punjabi and Marwari customs on 22 January. Sheena Bajaj looked resplendent in a pink and yellow lehenga while Rohit Purohit looked sharp in a yellow and white kurta-pajama, with a beige Nehru jacket. As per reports, Anurag Kashyap played cupid for Shweta Basu Prasad and Rohit Mittal. Raghu Ram had said that his ex-wife Sugandha Garg was the first to know of his plans to marry singer Natalie Di Luccio. Raghu Ram had announced that he and Natalie Di Luccio would get married in December, although he had not specified any date.